When Adrian came home today, I was actually sitting in the den. He was looking very sad as he told me how worried he was about me. He was worried that I am giving up hope because these last few months have been so hard. I was explaining that I wasn’t really giving up hope per se, but I WAS beginning to doubt my faith. Then someone knocked on our door. It was our mail lady. She had a subscription box for me. It was Love + Blessed. Although I had sent this box to my daughter in law, this was the first one that I have received. As soon as I opened it, I started crying and laughing. The theme this month is Faith. 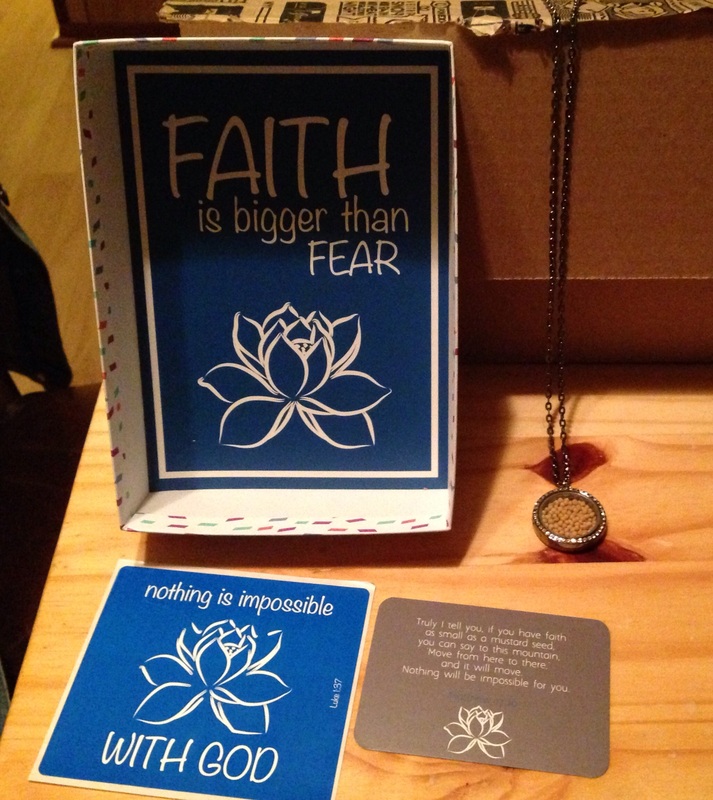 In the box was a scripture card, a sticker, a small motivational poster and a necklace. The necklace is a locket on a chain. 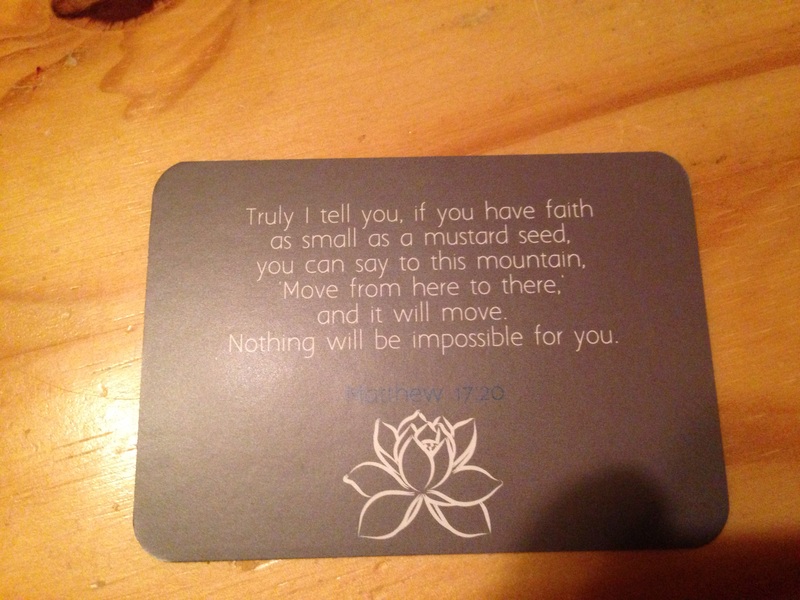 And inside the box was a tiny bag of mustard seeds! Adrian couldn’t pour those seeds in the locket fast enough!! As he put it around my neck, we were both crying and humbled. Coincidence? No, I don’t think so. I truly believe that it was a God thing. And I’m so incredibly thankful.